Nearly 25 percent of people who are currently in their 20s will suffer disabling conditions that prevent them from working for some duration at some point in their lives. Long term disability coverage is a type of insurance that may pay benefits to replace a percentage of your income in the event that an injury or illness prevents you from returning to your job while you are unable to work. It is important for you to understand the different options that are available and how the coverage works. If your benefits claim is denied, you may challenge the denial and seek legal remedies in order to recover the benefits to which you should be entitled. Long term disability insurance is a type of coverage that will pay you a percentage of your normal income when you have suffered a disabling injury or illness that renders you unable to return to work. Some policies may also pay you a percentage of your income when you are unable to work more than part-time because of your disabling condition for partial disability coverage. Long term disability benefits start after an elimination period that lasts from three months to a year, depending on the coverage level that you select or that has been provided for you by your employer as a part of your benefits package. When you have a qualifying condition, and your benefits claim is approved, long term disability insurance pays you the selected percentage of your former income in monthly benefits payments. The benefits are not taxed. If your policy pays 60 to 70 percent of your income, then you should receive approximately the same amount that you did while you were working. Your first check will come after the elimination period has ended, which is a time period following your disabling condition during which you will not collect the payments. If you have short-term disability coverage, many long term disability policies have elimination periods that last for the same duration of time that the short-term coverage pays you, starting when it ends. The coverage lasts for its policy term, which may be as little as two years or as much as up to age 65, depending on the option that you chose when you purchased the policy. You may not receive benefits if you fail to pay your premiums, so it is important that you make certain that you do. Long term disability policies have different available terms, and the policies with longer durations are more expensive. The cheaper coverages have short terms of as little as two years, but it is unwise to choose them. Many disabilities last for longer periods, so it is best to choose a policy that will pay you for at least five years. If you are able to do so, purchasing coverage that will pay you benefits up to age 65 is the best option because if you become disabled and are unable to work, you may then continue receiving your benefits up until you reach retirement age. Long term disability insurance may cover periods of time when you are unable to return to work at your previous occupation if you choose the own-occupation coverage option instead of the any-occupation coverage option. This means that you will receive your benefits even if you are able to return to work in a different occupation than the one you previously had. If you have the option for partial disability, long term disability insurance coverage may also pay you benefits if you are able to return to work but only on a part-time basis because of your disability. It will pay you a percentage of your previous monthly income before your disabling condition happened. There are added coverage options that you can choose. For example, a cost of living adjustment is one additional benefit that provides an increase each year with inflation. Another potential option is an unemployment waiver, which allows you to waive paying your premiums during months that you are unemployed until you find a new position. How Much Does Long Term Disability Insurance Pay? The amount you receive from your long term disability benefits will depend on your former salary as well as the percentage that you selected when you purchased your policy. Many policies pay between 50 and 60 percent of your former income, but some may pay 70 percent of it. If you pay for your premiums yourself using after-tax dollars, your benefits will not be taxed. If your employer pays your premiums using pre-tax dollars, then your benefits will be taxed on your income tax returns. The cost of your long term disability insurance will depend on the coverage options that you choose, the elimination period length, whether you purchase your policy at group or individual rates and your age when you first buy it. The premiums for younger people are lower than they are for older purchasers. The average annual premium at group rates for long term disability coverage is $226. The more coverage options that you choose, the higher the premium payments. The prices may also vary from company to company, making it a smart idea to shop around if you are purchasing an individual policy. When you submit your claim for benefits and your medical evidence of your disability, it is likely that your insurance company will ask for you to complete a functional capacity evaluation, or FCE. The FCE is a battery of assessments that is used to determine how your disability affects your ability to complete the tasks of your job. It also is designed to test if you are malingering. Insurance companies often use FCEs as a way to deny claims. What if My Long Term Disability Claim is Denied? 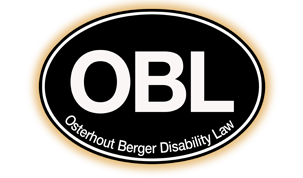 If your claim for long term disability benefits is denied, you will likely need legal help from an experienced long term disability insurance attorney like one of the team members at Osterhout Berger Disability Law. We may ask you to get a medical examination from your treating physician and to gather the medical documents that you need to support your claim. If we are unable to negotiate a settlement for you, we may file a lawsuit against the company on your behalf in order to help you recover the benefits that you deserve.